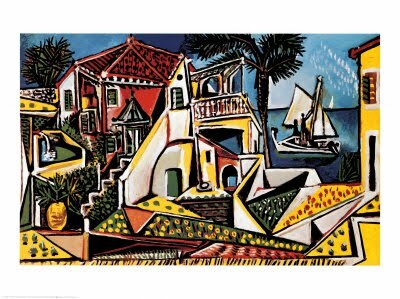 Signature Arts, Inc.: Pablo Picasso Fakes Sold on E-Bay! Pablo Picasso Fakes Sold on E-Bay! CHICAGO – A suburban Chicago man pleaded guilty Tuesday to swindling at least 250 people out of more than $1 million through the sale of counterfeit prints advertised as the work of Pablo Picasso and other major contemporary artists. Michael Zabrin of Northbrook admitted sometimes paying between $1,000 and $1,500 for counterfeit limited edition fine art prints produced in Spain and Italy and reselling them on eBay for many times that amount. In his signed plea agreement with prosecutors, 57-year-old Zabrin said he would send away to his Italian source for fake Picassos, saying: "I need some P's." When he needed bogus works by Roy Lichtenstein, he would say: "I need some L's." In the summer of 2004, Zabrin purchased eight counterfeit works purportedly by Marc Chagall for $20,000 "which he resold at no less than three times his cost," according to the plea agreement which was presented to Judge Robert M. Dow Jr.
Zabrin agreed in the document that he caused foreseeable losses of more than $1 million but less than $2.5 million with works turned out by "the Spanish guy" and another supplier in Italy. He also admitted trading fake art works with other dealers. Zabrin was among seven people charged in March 2008 on charges of trading in fake works by Picasso, Lichtenstein, Chagall, Joan Miro and Salvador Dali. He was the first to be convicted. Charges against the six others are pending. Zabrin pleaded guilty to one count of mail fraud. The charge carries a maximum sentence of 20 years in prison and a fine of $250,000. But prosecutors calculated that under federal sentencing guidelines Zabrin could be facing a prison term in the 10- to 13-year range. Dow set March 23 for sentencing. According to the plea agreement, Zabrin had been previously convicted of telephone harassment, mail fraud and retail theft. Zabrin admitted conducting 280 sales of fraudulent art on eBay through his companies, Fineartmasters and ZFineartmasters. When some customers realized they had bought fakes, they returned them. Zabrin acknowledged that he then waited a few months and resold them to someone else.